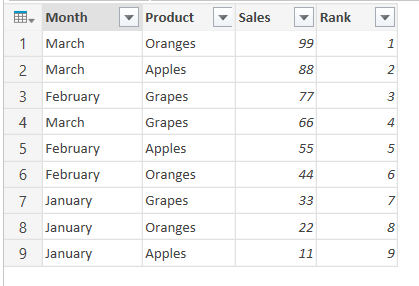 There’s a single row of data and two columns, Date and Sales. What number and date are shown though? For me, living in the UK, the date shown is the 2nd of March 2015 (in the UK, like most of the world, we use the DD/MM/YYYY date format) and the number is one hundred thousand and two (in the UK we use the . sign as a decimal separator and the , as a thousands separator). However, if I was from the US and used the MM/DD/YYYY format I’d read the date as the 3rd of February 2015; and if I was from France and used a comma as a decimal separator, I’d read the number as a value just a tiny amount over one hundred. Of course, if you’re working in one country and getting data sent from another, which uses a different date or number format, you need to take all of these variations into account. The good news is that Power Query has a really easy way of doing this for you, even if it’s not immediately obvious where this functionality is. You don’t need to change your Windows locale or split dates into their constituent parts and rearrange them in the correct order, or anything like that. A locale is simply a name for all of the rules for date and number formats and more associated with a particular language and region. So, for example, setting the Date column so that it is interpreted using the English (United States) locale, means that when the data is loaded into Power Query on my machine I see the date 3/2/2015. 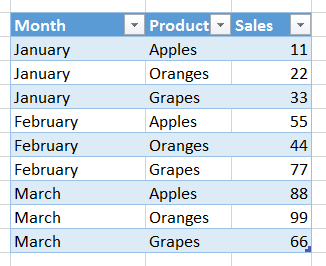 What’s happened is that the csv file contains the date “2/3/2015”, I have told Power Query that the data source uses a US English format date, Power Query has then assumed this date is therefore in MM/DD/YYYY format, loaded the data for me and shown the date in my own locale (which is English (United Kingdom)) in DD/MM/YYYY format as 3/2/2015. The date itself hasn’t changed, just the way it is displayed. You will see that I have told Power Query to interpret the value “100,002” as a decimal number using a French format, where a comma is used as a decimal separator, and it has therefore imported and displayed it as 100.002 in the English (United Kingdom) format with a decimal point used as the decimal separator. I’m well past the stage of feeling angry about the neglect of SSAS Multidimensional over the past few years, and I’m genuinely grateful that it’s getting some investment rather than nothing at all. That said, I’m not sure which customers asked for Netezza support or DBCC – they aren’t things I’ve ever needed. The promised performance improvements are where I expect the real value to be, and on their own they will probably give existing customers reason enough to upgrade to 2016. It would have been nice to get even one new feature from this list though. As expected, the Tabular engine in SSAS 2016 gets a lot of new stuff for free because of its shared heritage with other Power BI tools. My feeling is that uptake of Tabular has been slower than it should have been because 2012 was, frankly, a bit v1.0 with all the immaturity that implies, and there haven’t been any substantial improvements since then. With 2016, though, it looks like Tabular will take a great leap forward and as a result be seen as a much more capable platform. There will certainly be fewer reasons to choose Multidimensional over Tabular, although for applications that require complex calculations (such as financial applications) Multidimensional will still have the upper hand. The more reasons I have to love Tabular, the less I’ll worry about the lack of new features in Multidimensional. 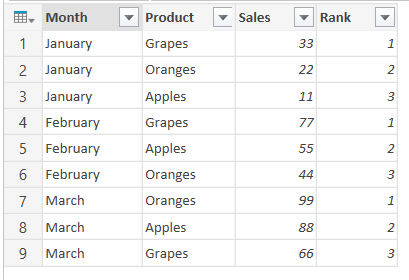 As regular readers of this blog may have noticed, I like Power Query a lot and I’m pleased to see that it has extended its reach into corporate BI. Power Query as a data source for SSAS will be important for scenarios where Power Pivot models are upgraded to server-side solutions; I don’t think it will be a good idea to use Power Query if you’re building an SSAS solution from scratch though. Power Query in SSIS was another predictable development and one which should make it easier to work with certain data sources (such as Excel files); the existing ability to publish the output of an SSIS package as an OData feed using the Data Streaming Destination, which can then be consumed by Power Query, could open up some interesting scenarios where a user builds a data set in Power Query and publishes it via SSIS for consumption by other Power Query users. It’s the promised integration of Power Query and SSRS that excites me most though. I asked for it here and it looks like my wish has been granted! As well as providing access to a wider range of data sources and a common ‘get data’ experience with other tools, I think it will be the key to making SSRS and in particular Report Builder the self-service BI tool that so many customers want it to be. Report Builder has struggled with two problems since it first appeared: first, make it easier for users to lay out a nice-looking report on a canvas, something that the current version does a reasonable job of I think; and second, make it easy for non-technical users (who, for example, might have little or no SQL knowledge) to get data from data sources for their reports – this is where it has not succeeded in the past, and where Power Query could make all the difference. 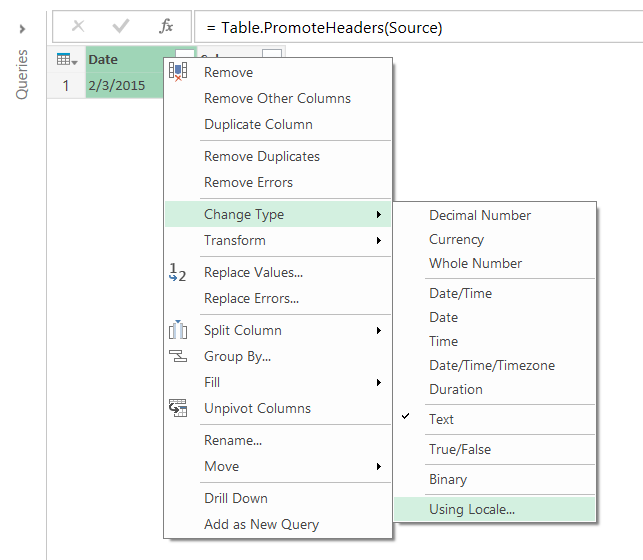 Power Query, among other things, is a solid, user friendly, SQL generation tool. This, plus the fact that SSRS will be updated for all modern browsers and get new visualisations and report themes etc, means that the vast number of existing SSRS customers will have a lot of good reasons to upgrade to 2016, and when they do they’ll also find it easy to integrate with the rest of Power BI. Power BI: Will Anyone Buy It? It’s very easy for Microsoft BI fanboys like me to get all worked up by the constant drip feed of tweets about new Power BI features. An impartial observer will point out that some of these features, like the ability to change the colours of your charts in Power View, are actually things we should be embarrassed at not having already. Nonetheless I think it’s fair to say that Microsoft are doing a good job of getting its core customers excited about Power BI and there’s also a lot of evidence that people outside this core at, at least, curious, so from a marketing perspective everything’s going well. Even if the marketing is good, that will only get Power BI evaluated. Those evaluations will only turn into purchases if the product itself is up to the task. Microsoft set itself an extremely difficult task when it decided to change the direction of Power BI and deliver a respectable version 1.0 this year; the impressive speed that new features are arriving at suggests that they will manage it. When this product is put side-by-side with competing tools it will have some advantages – Power Query is excellent, the Power Pivot engine is fast and can handle all kinds of complex calculations – but will inevitably appear immature in other respects such as visualisation. I think the limit on the amount of data that can be held in a single data model, either on the desktop or in the cloud, is also something that will be a problem for those of us who are used to building server-side SSAS solutions that can hold all the data the user ever needs to see. Maybe DirectQuery/ROLAP on SQL Azure and perhaps Azure SQL Data Warehouse will make this irrelevant? Overall though in my opinion the version of ‘new’ Power BI that will RTM later this year will be seen as more than good enough from a technical standpoint, and if this rate of change is maintained for version 2.0 then it will be something special. I also think that the focus on building APIs and connectors to other web services is a really clever move. There are a lot of other vendors out there who don’t want to build their own BI functionality, and if Microsoft can convince them to use Power BI that will bring a lot of customers on board. Even at this early stage it looks like Microsoft is doing a good job of recruiting these vendors (SQL Sentry for example, but there are many others) as well as getting other teams inside Microsoft (like Visual Studio Online) to do the same. Close integration with new Microsoft services like Azure Stream Analytics and Azure SQL Data Warehouse should have a similar effect, although less pronounced given that these new services will have few users initially. While I admit the divorce from Excel was the right thing to do in the circumstances, I still find that I prefer working in Excel over the Power BI Dashboard Designer. Maybe that’s partly due to habit, but Power View still has a long way to go before it has the flexibility of Excel PivotTables and especially cube formulas. That’s why I think Marco Russo’s campaign to create an API for the Dashboard Designer and to support external connections from Excel and other tools is so important. If you haven’t voted already, please do so now! This would be a killer feature in that it would allow you to continue to build reports in Excel (maybe 32-bit) while still making use of new features in the engine. It would give use all the good things we have today with the Excel Power add-ins and more. It would also, as Marco points out, be another reason for third party vendors to use the Power BI platform. The final factor to consider is price. Making the Dashboard Designer free is important, because it’s not just a Dashboard Designer but a complete, standalone desktop self-service BI solution in itself. Many customers will use it as such without buying a Power BI subscription – that is, if they know that is an option. The free/$9.99 cloud subscription model is also very attractive, and all in all the new pricing model is a refreshing change from the nightmare that ‘old’ Power BI licensing was. I wonder if there will be any particular incentives (financial or otherwise) for partners to sell or recommend Power BI to their customers? If not,there probably should be. Overall, I’m happier with the direction that Microsoft BI is going in than I have been for a long time. Power BI now seems like it has some momentum behind it, and that it is a coherent product rather than a collection of (individually impressive) tools bound into Excel that, for one reason or another, customers couldn’t use to their full potential. We’ll have to see whether it does become a commercial success or not but I think it has a good chance of doing so now. 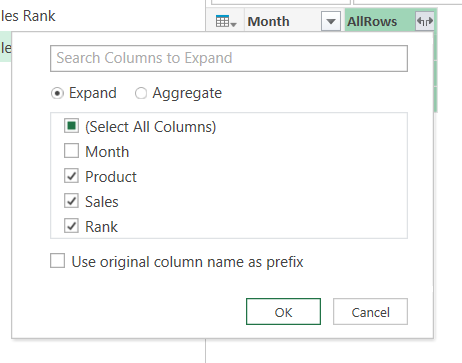 Excel 2016 also has some welcome improvements, even if it is now the ‘slow track’ for self-service BI; the more users discover Power Pivot and Power Query via Excel 2013 and soon 2016, the more likely it is that they’ll start using the rest of the Power BI stack. Meanwhile it seems like at last there is at last a serious commitment to improve the on-premises SQL Server BI stack on the part of Microsoft. Some time ago I wrote a post on why corporate BI and self-service BI are both necessary and I still stand by what I said there; it’s also clear that a lot of customers, especially enterprise customers and especially in Europe, are not yet ready to put their most valuable data in the cloud. Microsoft has the chance to be one of the few vendors with great self-service and corporate BI stories, and great on-premises and cloud BI stories. Also, given that today’s SQL Server BI customers are the most likely to become tomorrow’s Power BI customers, keeping them happy in the medium term while Power BI matures should be a priority. Let’s see where we are this time next year…? Each one of these tables contains the rows from the original table for the month. Next, you need to pass each nested table to this function. You could do that in a calculated column, but the most elegant way I think is by using the Table.TransformColumns() function which takes a function and applies it to every value in a column (see here for another example of how to use it). You can download the example workbook here. This pattern could also be applied to other types of calculation that need to be nested, for example running totals or shares. I saw an interesting post the other day on the Power Query Technet forum which showed how the List.Buffer() function could be used to improve calculation performance. This is something I’d seen hinted at in other places so I thought it was worth a bit of investigation. It gets the first 2000 rows from the FactInternetSales table in the Adventure Works DW database, removes most of the columns, and adds a custom column that shows the rank of the current row based on its Sales Amount. On my laptop it takes around 35 seconds to run this query – pretty slow, in my opinion, given the amount of data in this table. The reason for this is that M is both functional and lazy, so unless we buffer the output of List.Select, we’re really just building a query that needs to be evaluated over and over. This is similar to the Enumerable functions in LINQ, if you’re familiar with those. Table.Buffer() and Binary.Buffer() functions also exist, and do similar things. This is not necessarily the optimal way to calculate ranks in Power Query – it’s just an example of how List.Buffer() can be used. In the first query above, query folding is not taking place. If it had been it’s likely that performance would have been better. Since using List.Buffer() explicitly prevents query folding from taking place, it could make performance worse rather than better because of this in many cases. I’m 100% certain you’ll get much better performance for a rank calculation by loading the table to the Excel Data Model/Power Pivot and writing the calculation in DAX. You should only really do calculations like this in Power Query if they are needed for other transformations in your query.